Visuals. There is no chance that you miss them. They have become such an important part of communication that one cannot even imagine certain things without visuals. Their impact on a human mind is such that people tend to remember information for a longer period when it is paired with images. Visuals provide information in a manner that it sticks to your mind. According to Hubspot, when people hear information, they're likely to remember only 10% of that information three days later. However, if a relevant image is paired with that same information, people retained 65% of the information three days later. These days, more and more people are using images, screenshots, videos and infographics to convey their messages. All the marketers are joining this bandwagon of using visuals to their advantage. Words are not enough anymore to inform and engage audience. 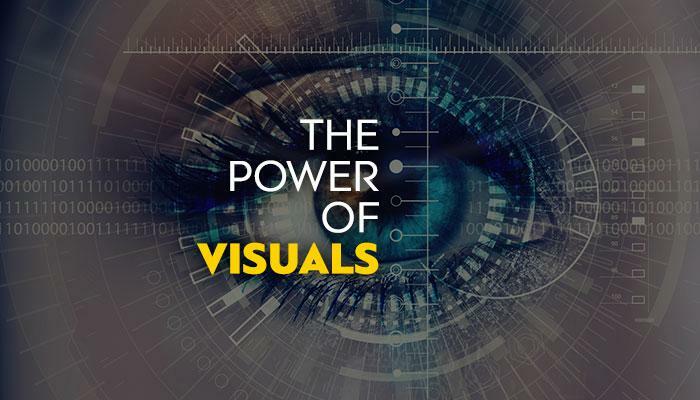 Visuals have become like a staple in the online customer's diet. For instance, try and answer: “What is a circle?” What comes to your mind first? It's image or the definition of circle? We are sure that it was the image that must have come to your mind. That's the power of visuals! Now, let’s check out some of the why’s and how’s of using visuals! Why are visuals so important? Visuals are much more powerful in grabbing the attention of the people as it evokes emotions such as shock, surprise, inspiration etc. An article published in Webmarketinggroup reveals that 40% of people will respond better to visual information than plain text. For people, word-based interactions have become bland. A piece of content having an image or video makes it more engaging and they retain it for a longer time because visuals tell the complete story. For instance, look at the infographic below. You will actually stop and try to go through all the information provided in it. This makes the information more reader-friendly. Have a look at the The U.S. Age Pyramid from The Next America. The visual shows how US will change over time and the challenges it may face. There is an old adage, a picture is worth a thousand words! And it holds true even today. A story told through visuals are a lot more engaging than plain text. Visuals are easily comprehended and are perhaps the best way to tell a story. It is quite powerful son social media as well. It can help you increase your reach to the people and generate interest in what you want to convey. When you look at a visual, there is one story or another that it conveys. Have a look at the perfect example of visual storytelling – MoMA Century of the Child – that compels people to keep scrolling down the pages. Visuals Boost Engagement on Social Media – Realizing the importance of visuals, social media platforms such as Snapchat, Instagram and Pinterest are all booming today. They have changed the way people share images in real time. Facebook and Flickr are also platforms where people post images but Snapchat and others revolutionized the way people uploaded their in-the-moment images and shared it with the world. With visuals, you can convey a lot of information in lesser time. According to Adweek, tweets with images receive 18% more clicks, 89% more favorites and 150% more retweets. Now that we know the importance of visuals, let's see how and in what all formats you can use them (especially, if you are a marketer working on your content marketing strategy). Include a Featured Image at the Top of Every Article – Images at the beginning of the articles help in drawing the attention of the people and spike engagement. Use Different Kind of Visuals – Images or videos are not the only kind of visuals that you can use. You can make 3D Charts and Graphs, Cartoons, Memes and Embedded tweets/ Instagram or Facebook photos/videos. Also, don't forget to add the logo of your company, product or service for authenticity and branding. Use Visuals After Every 400 Words – As discusses, lengthy text can get boring for the audience. Therefore, if you have a piece of content with word length 200 words, make sure you have atleast 5 images to make it more interesting and give time to the readers to comprehend the text. We hope that we have been successful in convincing you on the power visuals have. In today's era, it is more about showing and not telling. 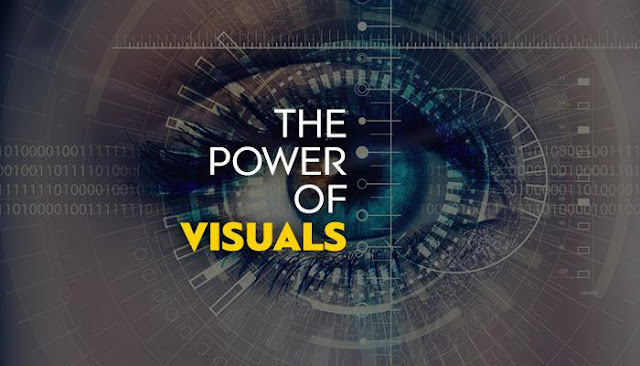 Effective visuals are far more powerful than any text. However, always stay on board with the message you want to convey through that visual. An inappropriate visual can cause more harm to your or your company's image than not using any visual at all. So, go ahead and convert all your content to visuals (or include visuals) and see the magic that it spreads! Don't be afraid to experiment. Have fun. Author Bio: Gaurav Kumar has been a blogger, Assistant manager - digital marketer at Designhill, one of the fastest growing custom design crowdsourcing platforms. Over the years, he has been helping small businesses and startups improve website design and SEO strategy, content marketing and user experience.You can engage with him on Twitter here OR visit personal website.